Summer seems to have gone by so quickly and in a few weeks, we'll be giving up our bathing suits and shorts for jackets and sweaters. It's never too early to shop for the Fall season and I'm excited to wear my coats. They're one of my favorite fashion pieces because it can really put an outfit together. I've been browsing around ASOS and found some really nice pieces I thought I'd share with you guys. 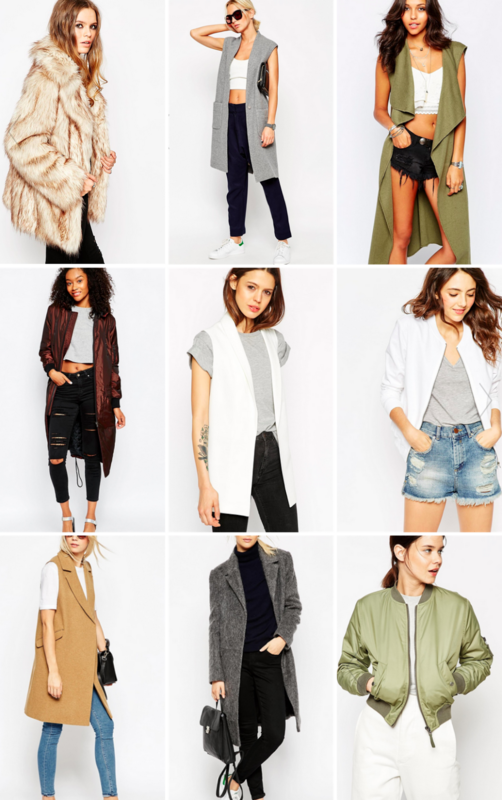 There's a mix of sleeveless vests, bomber jackets, and warm coats. I wish I could buy them all. Which one's your favorite?